RV insurance can protect your motorhome, travel trailer, camper and even your horse trailer. 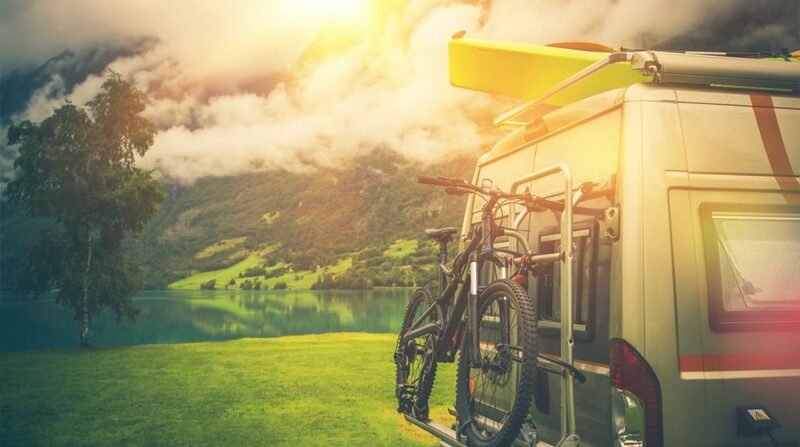 Let Goodman Gravley Insurance Source help you select the right coverage for your RV needs and get a great price at the same time. You can even request a quote online and we’ll get back to you with quotes from multiple companies so you can compare and save! Goodman Gravley Insurance Source is locally operated to handle your insurance needs. We offer affordable and reliable insurance choices from multiple insurance companies. Goodman Gravley Insurance Source can help make your time on the water relaxed and worry-free. We will find you comprehensive protection that protects you, your friends and family, your watercraft and your boating equipment. The average boat costs less than a dollar a day to insure. You’ll enjoy being on the water even more when you aren’t worried about your safety, the safety of your passengers, or your investment. Do you know what to look for in a watercraft insurance policy? Goodman Gravley Insurance Source can help you determine the right amount of coverage to meet your specific needs. Just contact us today to get started. Navigational Area – Know where you are covered in the water. Some insurance companies offer protection that covers you up to 75 miles from the U.S. coastline, into Canadian coastal or inland waters, and into the Pacific coastal waters of Mexico. In California, Florida and Oregon, coverage for additional areas can be purchased. Agreed Value Coverage – Watercrafts depreciate just like cars. Actual cash value policies can make it difficult to replace a boat that has been stolen or destroyed. This means that if your boat is a total loss you will get the value you insured it for, minus any deductible. Liability – Like car insurance, personal liability coverage provides coverage to other boaters and boat owners in the event you are at-fault for an accident on the water. This coverage will pay to repair or replace the property of someone else as well as for their medical care, lost wages, and other costs incurred as a result of a boating accident for which you are at-fault. Physical Damage Coverage – Physical damage coverage pays for the cost to repair or replace your watercraft, its motor, any permanently attached equipment, and your trailer if it is stolen or damaged. Uninsured/Underinsured Watercraft Bodily Injury – Since boat insurance is not always mandatory, many boaters choose not to get insurance. If you are hit by an uninsured or underinsured boater and you are injured, this type of coverage pays for medical treatment, lost wages, and other costs associated with the accident. Fuel Spill Liability and Wreckage Removal – Should your boat sink or be seriously damaged, there is a chance that it could leak oil or fuel into the water. As the boat’s owner, you are required by law to have this cleaned up, which can be time consuming and expensive. Personal Effects – Your policy can provide coverage for many personal effects, including clothing, jewelry, cell phones, scuba/snorkeling and other sporting equipment, and fishing equipment. Limits vary by state, so check with us for your state’s requirements. Personal effects coverage does not include jewelry, watches or furs. Unattached Equipment Coverage – This pays to repair or replace equipment that isn’t permanently attached to your boat or personal watercraft, but is designed for use primarily on a boat. This includes items like lifesaving equipment, water skis, anchors, oars, fire extinguishers, tarps, etc. If you are a motorcycle enthusiast chances are Goodman Gravley Insurance Source covers what you ride. Goodman Gravley Insurance Source insures a full spectrum of motorcycles from street cycles, Harley Davidsons, cruisers and touring bikes, to dirt bikes and ATVs. You can pick the motorcycle insurance coverage that fits your needs. Many insurance companies offer underlying liability limits high enough to satisfy Personal Umbrella requirements, which means that you may be eligible for this additional coverage. In most states, Guest Passenger liability (mandatory on all street bikes) is automatically included at the same limit as your liability selection. Goodman Gravley Insurance Source works with multiple insurance companies so we can provide you with multiple motorcycle insurance coverage options at rates you can afford. There’s no shortage of ways to get outside and ride. Whether you’re hitting the trail, the links, or just the great outdoors, the last thing you want to worry about is whether your insurance policy has you protected. Goodman Gravley Insurance Source can help you get the specialized coverage you need for your specialized vehicles. We can help you protect your investment and let you get focus on having fun.